Turn the volume up to keep lusting after Mercedes' one-stop shop for performance, luxury, and practicality. Mercedes-AMG has a habit of reaching into the wet dreams of gearheads around the world to copy and paste those contents into its latest lineup of cars. 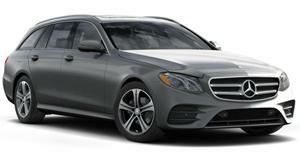 The AMG E63 S Estate is a prime example of that. Based off of the already epic AMG E63 S, the Estate version adds all the functionality you’d need from a city-bound SUV with the added bonus of being a monster on the track and a serial tire killer at the flick of a switch. Thankfully, Russian YouTuber David Lala has dug up footage of what we can expect. Powered by the same 603-horsepower 4.0-liter V8 that’s boosted by two racketeering turbochargers, the AMG E63 S Estate is a monster on the race track, using electronic limited-slip differentials and a clever all-wheel drive system to rip lap time records off the wall while reserving the ability to shed the rubber skin off its rear tires using drift mode. Here we get to see the wagon in action, giving us a taste of some of the finer things in life that will soon be available for pleasant drives on American roads. Luckily, Mercedes has also acknowledged that, as fun as performance can be, it’s nice to have a luxury car to coast along with when relaxation becomes the goal. Variable dampers soften the E63 Estate's ride, making it a wonderful grand touring companion, while massive cargo space comes standard to make it so that no backup car is needed during trips to the hardware store or up to the ski loft. Here we see no such thing, just quick spirited driving and that glorious roar that proves turbochargers don't have to stifle a good exhaust note.